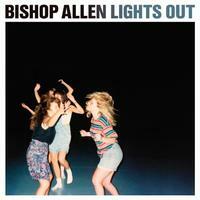 Bishop Allen released an album called Lights Out. It is their first album in almost 5 years. I was almost surprised to see this album in Interesting Music Releases as I assumed this Brooklyn-based indie-pop band was no longer together. Grrr… (2009) and The Broken String (2007) were quite well-liked. Their sound is a unique brand of whimsical and upbeat indie-pop and Lights Out is no exception. The cover features some dancing young people. That is the perfect visual representation of the album’s songs. While songs touch on disappointment and loss, the melodies paint a happy-go-lucky vibe. Bishop Allen knows how to cope (lyrically) by appearing happy (musically). It is a pure delight. And for your mellow release of the week, comes Orenda Fink‘s Blue Dream. Orenda is formerly of dream-pop duo Azure Ray. Blue Dream lives up to the name with a dreamy melodies and quiet humming. Orenda’s vocals are ethereal. She knows how to create an airy and sublime aura. While it may be slightly boring to those who prefer rock ‘n roll, the release is definitely recommended for those who like to lay back and get lost in a thought.